Falmouth jumped out to an early lead on Freeport and captured an 11-2 victory on Friday. Seven runs in the first three innings allowed the Yachtsmen to put the game away early.An RBI triple by Robbie Armitage, a fielder's choice, and a two-run double by Jessie Melchiskey in the first inning and a solo home run by Connor Aube during the second inning helped Falmouth put some runs on the board early. 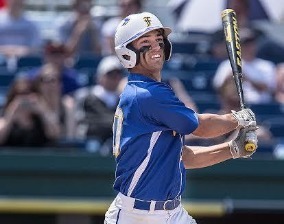 Aube had two extra-base hits for Yachtsmen, Falmouth, Maine. Reece Armitage's 10 strikeouts helped Falmouth to the victory. Armitage allowed two earned runs, three hits and four walks over 5 1/3 innings. 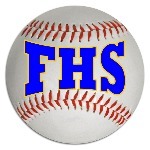 Falmouth easily handled Freeport pitching as six hitters combined for 11 hits, nine RBIs and 10 runs scored. Josh Burke couldn't get it done on the hill for Freeport, taking a loss. He allowed seven runs in three innings, walked two and struck out none. Two Yachtsmen baserunners came all the way around to score in each of the third, fifth and sixth. In the third, Falmouth scored on an RBI single by Chris Camelio, plating Colin Coyne. Falmouth quickly matched Freeport's strong inning with a two-run inning of its own in the sixth. The Yachtsmen scored on an RBI single by Colin Coyne and an RBI single by Melchiskey.